Welcome to the Western Tennis Club (WTC)! The Western Tennis Club is a recreational club intended for tennis players of all skill levels. 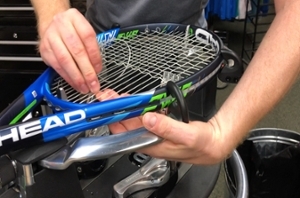 Whether you’re picking up a tennis racquet for the first time, or a club player with years of experience, everyone is welcome. 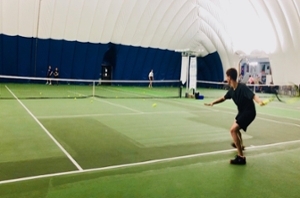 Our practice sessions are held at the University Tennis Centre, located on campus, where members can learn and sharpen their skills, play some sets, and just have fun with other members. This year will feature a number of events, including social events to get to know each other off the courts; the annual WTC club tournament to showcase your skills in some friendly competition; and a new, optional WTC club ladder that will run throughout the year. We hope to see you on the courts! My name is Niko Petrou and I am currently a third-year student studying Management and Organizational Studies. 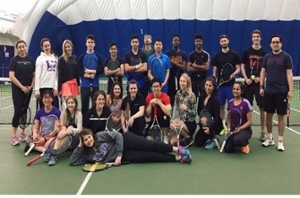 I got involved with the Western Tennis Club in my first year of university as a general member. Since then I have been VP Finance and now President. This has been a really rewarding experience as I have met a lot of people who share similar interests and used my skills for the betterment of the club. Every year we offer a series of tennis events as well as club socials. We host an inter-club tournament each semester with prizes, as well as a workshop at Of Courts where students learn how to string tennis rackets. Club socials include going out for a variety of activities with members of the club. Sport Club practices for Fall 2018 begin on Sunday Sept 23, and will conclude on Saturday, Dec 1, 2018. Practices for the Winter 2019 term resume on Monday Jan 7, and conclude on Sunday, March 31, 2019.